4. Real URL obviously NOT eBay. Looks long and complicated though, which may be enough to fool you at a glance! 5. Website traced to Washington, USA.
" 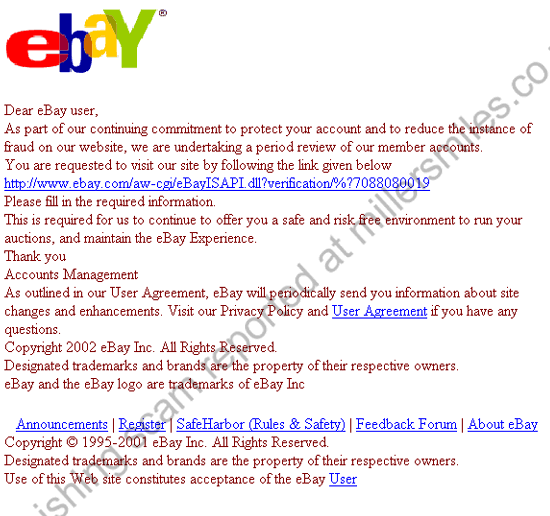 Dear eBay user, As part of our continuing commitment to protect your account and to reduce the instance of fraud on our website..."